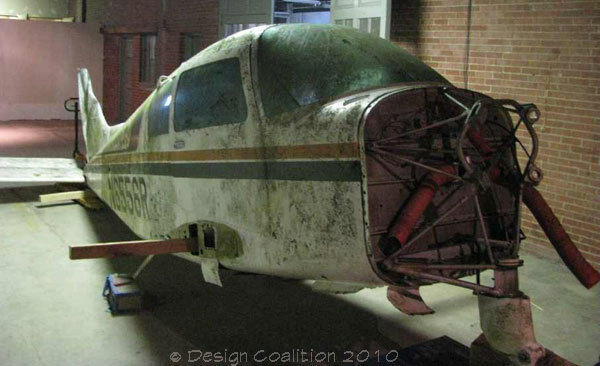 In one of the most unusual design assignments, the Tinkerer's Workshop was to be built out of a small aircraft (crashed, now recycled!) and located in "Possible-opolis". The sketches below are in-progress design concepts of the Tinkerer's Workshop, built out of the old airplane parts and two re-used fire extinguisher cabinets. 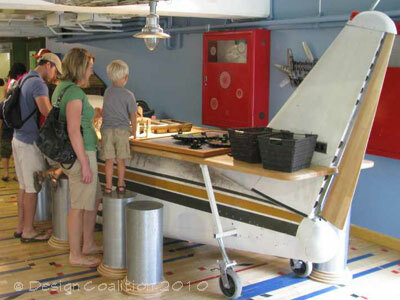 The main workbench is made from the fuselage, with storage inside; other wing and tail parts hang from the ceiling and flank the backbench. 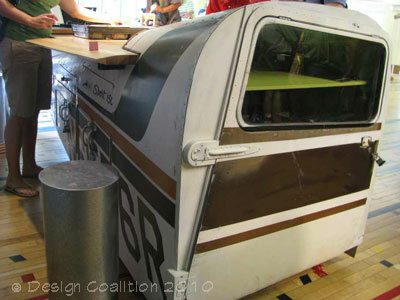 The cockpit will stand nearby, the dashboard and controls re-worked to create a chamber in which children can experiment with electronic sound. The red light at the tip of the tail will light to announce a program is session; scheduled adult 'tinkerers' will guide children to disassemble, invent and experiment.